VACATION HOME Rental -Plan a Fun Vacation for the Entire! 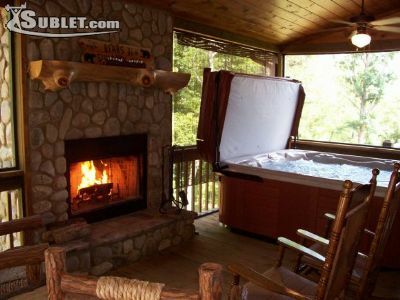 Luxury Blue Ridge Cabin Rental in North GA ~ 90 minutes from Atlanta, GA! BEDROOMS: 3 ~ BATH: 3 ~ FIREPLACES: 3 ~ LEVELS: 3 ~ AGE: 3 yrs old INTERNET: Yes ~ High Speed Wireless Throughout! ACCESS: Paved Roads to Circular Driveway VIEW: Year Round Mountain Views GAME ROOM: Pool Table, Poker Table, LOG Checker Board Table, Cedar Top Wet Bar, Gas Log Fireplace SCREEN PORCH: With 6 Person Hot Tub & Wood Burning Fireplace ENJOY White Water Rafting, Tubing, Kayaking, Hiking, Mountain Biking, Horseback Riding, Day Spa, Old Fashioned Drive-In Movie Theater & more! For more information, rates, availability, photo gallery and more: Great SPECIALS through June 15th Kim Compagnone at The Bears Den Luxury Cabin Retreat Large enough for a Vacation (up to 8 ppl), yet Perfect for a Truly Romantic Getaway for 2! Visit Our Website.